What age is it okay for a child to partake in the Lord's supper? 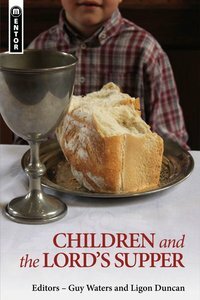 This book takes a constructive look at the doctrine of paedo-communion as defined: "as the admittance of a covenant child to the Lord's Supper on the basis of his descent from at least one professing Christian parent." Looking at this doctrine, these essays will provide food for thought across the various disciplines such as Biblical, Theological, historical and pastoral. It will be a guide as you seek to explore this key pastoral issue. About "Children and the Lord's Supper: Let a Man Examine Himself (Mentor Series)"